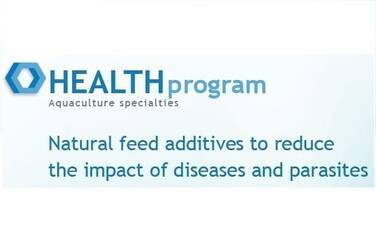 Natural feed additives to reduce the impact of diseases and parasites. Disease outbreaks are a major risk for the sustainability and profitability of aquaculture production around the globe. 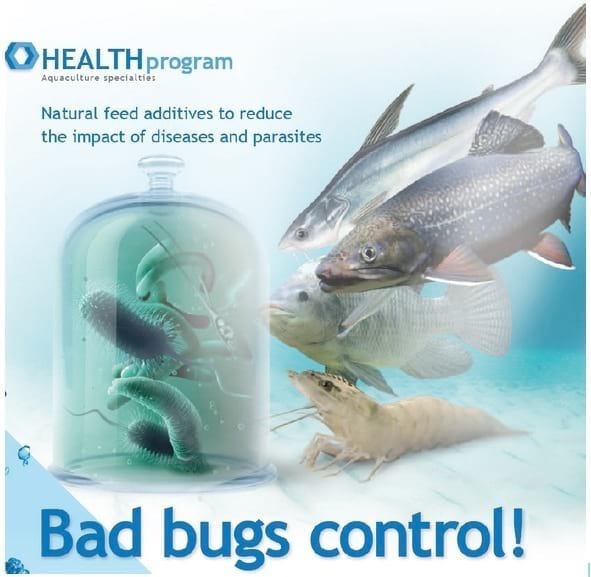 Nutriad offers an innovative range of natural feed additives to reduce the impact of disease outbreaks and parasitic infestations on productivity of fish and shrimp. Our health products apply nature’s mechanisms to fight bad bugs, including bio-active herbal compounds, pioneering Quorum Sensing inhibition technology, immune modulating yeast extracts and synergistic blends of organic acids. Our health program is under continuous development in collaboration with specialized disease experts and aquaculture producers. Our current products include SANACORE® GM (promotion of gut health), APEX® BRANCHIA (prevention of gill parasites), APEX® AQUA (anti-microbial action through phytobiotics), BACTINIL® AQUA (anti-microbial action through organic acids), and AQUASTIM® (species-specific immune modulation).